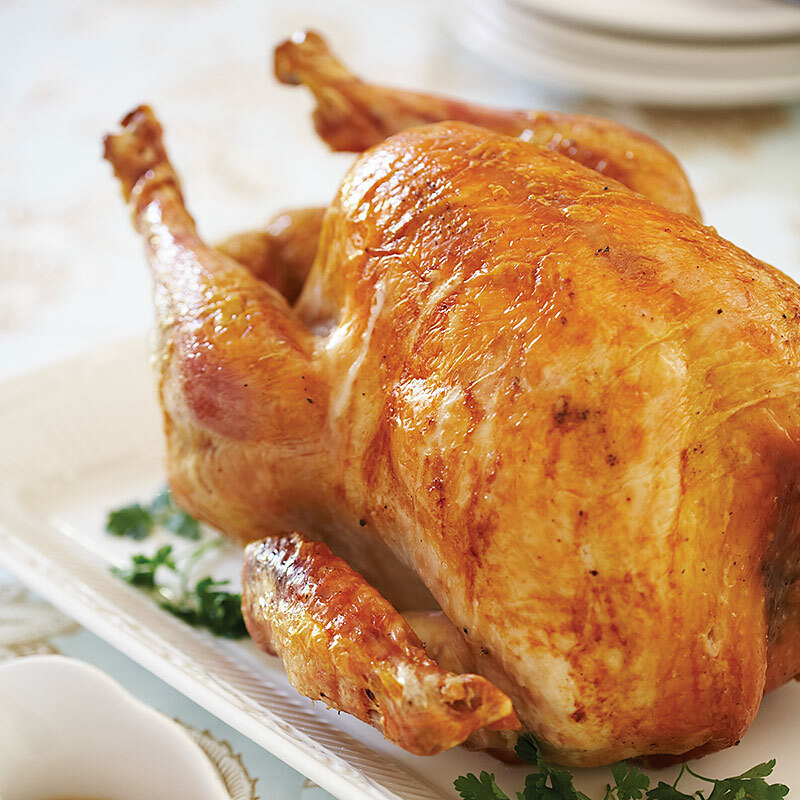 Our turkeys are raised here on our farm from day old poults. Our turkeys are truly pasture raised on our pastures which means they are moved each day to a fresh patch of grass. Here they are able to feed on fresh grass and insects. We move our turkeys and uniquely designed portable houses throughout our pastures and along the woods edge where they love to eat the freshly fallen fall leaves and acorns. 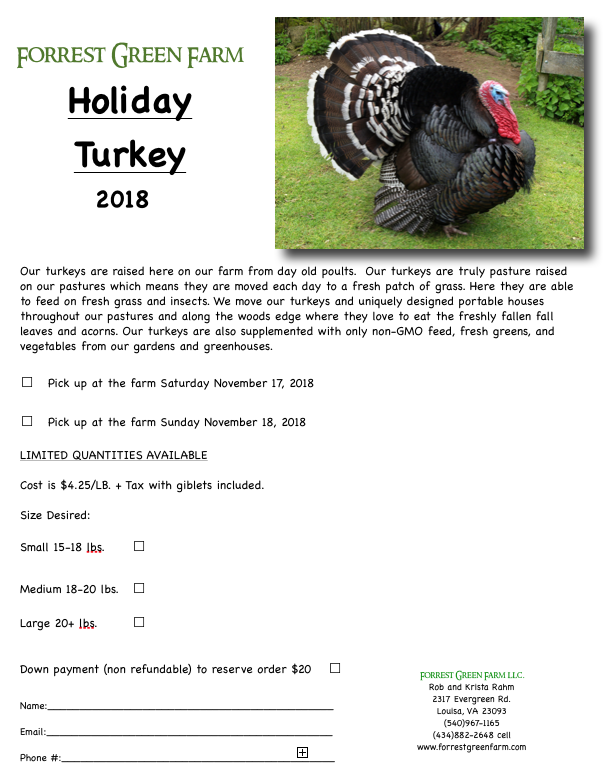 Our turkeys are also supplemented with only non-GMO feed, fresh greens, and vegetables from our gardens and greenhouses. Or at the Market on the Farm, Thursday-Sunday 9am-5pm.